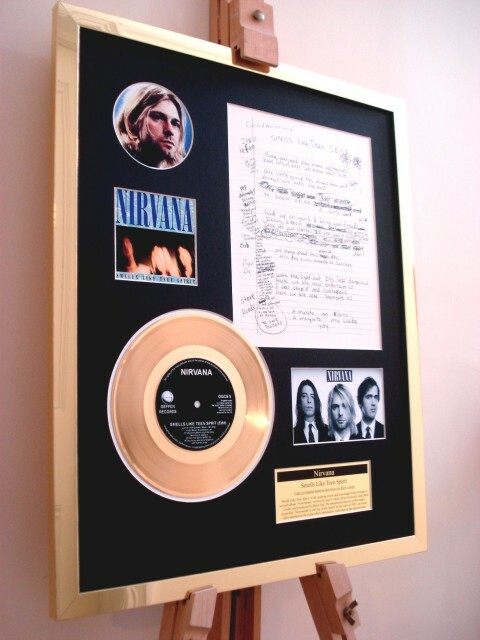 These beautiful presentations feature a quality facsimile reproduction of original hand-written lyrics of some of the world's best known songs, reproduced on high quality parchment paper for a dated feel. 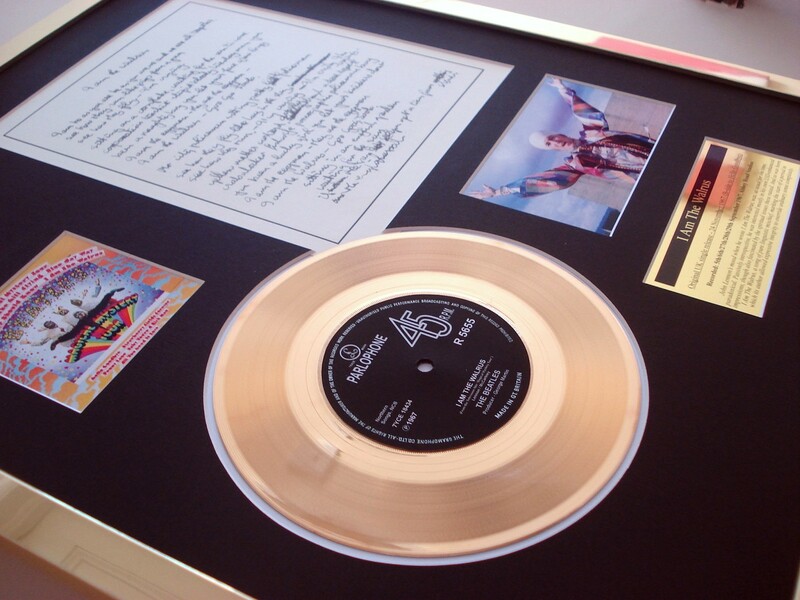 Also included is an original 7" 24kt gold plated disc of the song, along with pictures of the artist, including the record sleeve. 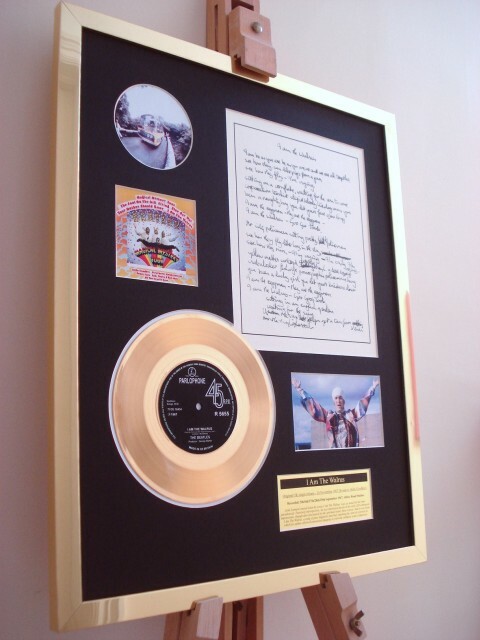 The nameplate displays detailed information of the single/artist, all mounted and housed in a gold chrome-fx frame. 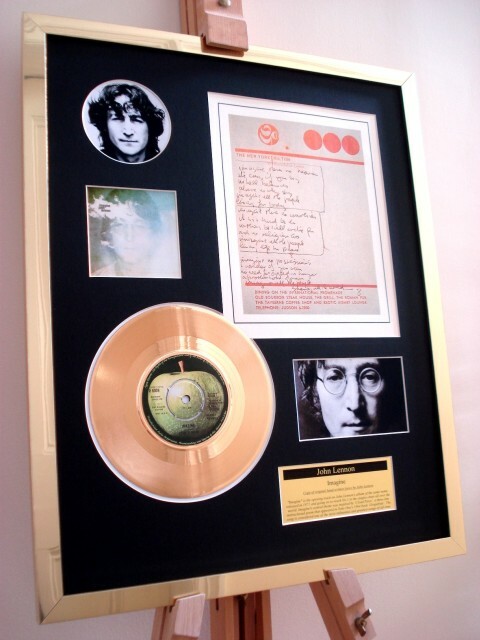 Obtaining original hand-written lyrics can be an extremely costly affair - 'Lucy In The Sky With Diamonds' by John Lennon sold for $1.2m in 2010! Here at Fab Cool Stuff we're happy to offer the next best thing. 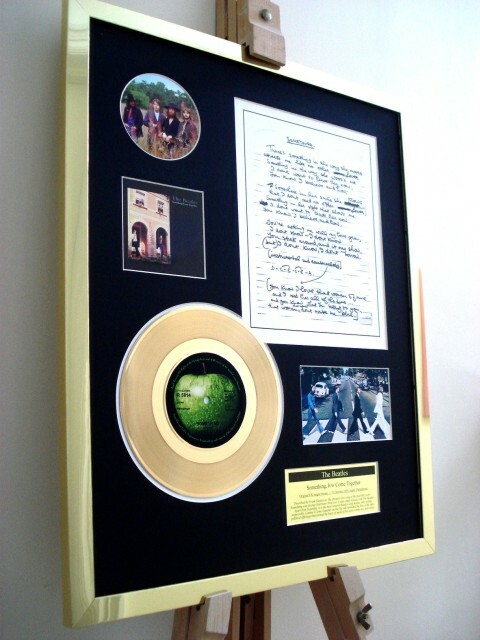 Whether it be to celebrate a wedding, birthday, anniversary or just for yourself, our 7" Gold Disc Lyric Displays are perfect for any occasion. At no extra cost, the plaque can be changed to include any message of your choice. All mounts are hand cut bevel edged mat surrounds. 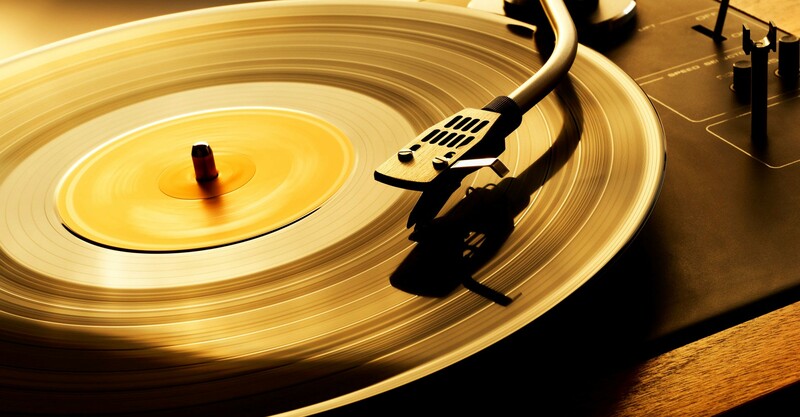 All gold discs are plated to the same high standard as official awards. Frames are glazed with high quality styrene glass to prevent breakages during transit. Please select from those available listed below. Please email us separately if you would like a personal inscription on the plaque. 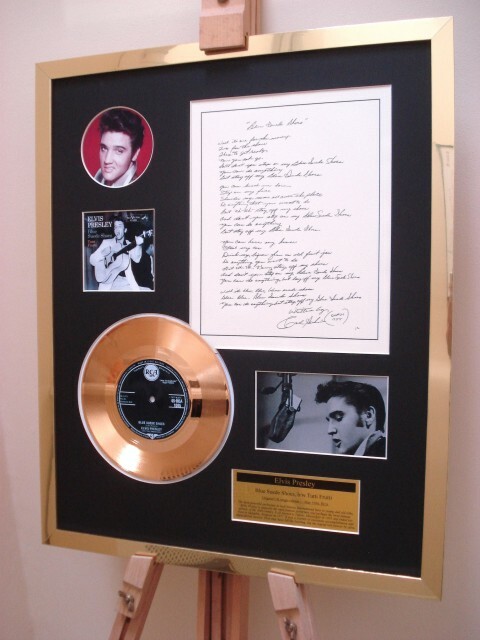 All 7" gold disc lyric displays are open edition and are actioned upon from order, so please allow up to 7 days for despatch. Post and packaging will be added on the checkout page. Please note, our discs are not affiliated with the B.P.I. or any other music industry.